The Florida Gators (12-11, 4-6) entered the hornet's nest and came away badly stung. Florida dropped its third game in-a-row on Saturday, getting bullied by the No. 1 Tennessee Volunteers (22-1, 10-0) 73-61 at Thompson-Boling Arena in Knoxville, Tennessee. The Gators were simply out matched by their SEC foe, unable to matchup with the Volunteers' physicality in the paint. WHAT WENT WRONG: The same ol' story happened in Tennessee on Saturday. Scoring droughts were back-breakers for the Gators. Florida was efficient offensively at times, cutting double-digit deficits in half a couple of times. Unfortunately for UF, consistency wasn't there for it again, and the Volunteers almost always answered with a run of their own. HE STOLE THE SHOW: Tennessee's two-headed monster, Grant Williams and Admiral Schofield did what they've been doing well all season, giving the opposition problems down low. Williams led the Vols with 16 points to go along with six rebounds and three assists. Schofield ignited the Arena a couple of times with thunderous dunks. He scored 14 points with six rebounds as well. For Florida, Noah Locke led all scorers with 17 points, draining five three-point baskets. Jalen Hudson was next with 15 points. NUMBERS DON'T LIE: On paper, rebounds were pretty even (UT 33, UF 31). However, the Gators gave up too many key second-chance opportunities that seemed to always spark a Volunteer run. In the paint, the Volunteers had the obvious advantage (36-22 in favor of UT). Florida's shooting woes continued on Saturday as well. The team shot just 36 percent (21-59) compared to Tennessee's more efficient 53 percent (28-53). THE BOTTOM LINE: The Gators went just 1-3 in their four-game stretch against ranked opponents. 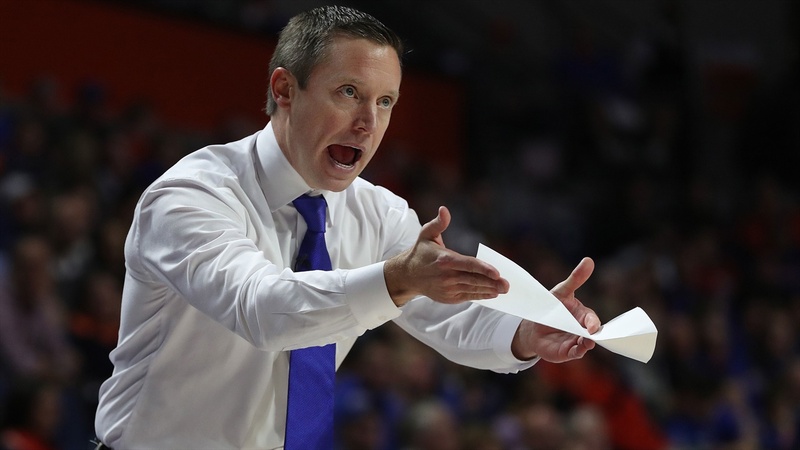 Sitting at 12-11, (4-6) with just eight games remaining, Florida needs to win at least five or six of those if it hopes to have any kind of chance at an NCAA Tournament berth. There are winnable games ahead for UF, and it'll need to take full advantage moving forward. UP NEXT: The Gators head back to Exactech Arena on Wednesday to face off with the struggling Vanderbilt Commodores (9-13, 0-9). This will obviously be a must-win for UF if they have any hopes of heading to the NCAA Tournament this season. Losing at home to the worst team in the conference would all but put a nail in the coffin of Florida's postseason hopes.